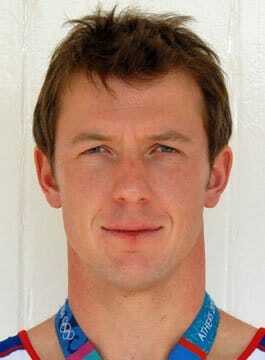 Steve Williams OBE is an Olympic Coxless Four Gold Medallist, Adventurer and Motivational Speaker. Williams is a double Olympic Gold medallist in the coxless fours, winning in two of the most emphatic Olympic races of all time, Athens and Beijing. In Athens 2004, along side Sir Matthew Pinsent, James Cracknell and Ed Coode, Steve Williams had an epic battle with the Canadians, who were as determined to win as the British. After 2000 meters, the British prevailed on the finish line, getting their boat in front to win by the narrowest of margins, just 0.08 of a second or, as the Daily Mail reported, “the length of a Crunchie bar”. Four years later, Williams was back to defend his Olympic title in Beijing. The final was the ultimate test for the crew to hold their form and nerve as the Australians shot out to a commanding early lead. For almost the entire race their relentless pushes made no impact until, in the dying strokes, the British “never-say-die” spirit prevailed to allow them to take a glorious Gold. In a ten year career at the top of one of the most demanding sports Steve Williams has also won four World Championship titles, has a trophy cabinet full of international honours and has enjoyed many other highlights including sustaining a three year unbeaten run of 27 international races. Steve has had to win the hard way. As a proudly self-professed ‘normal guy’ he has none of the natural physical attributes an Olympic rower ‘should’ have and with more than his fair share of set-backs getting to and staying at the top has not been easy. Steve’s Olympic dreams were almost derailed just as he started when in 2000 he missed out on selection for the British Olympic rowing team for Sydney. Going instead as a ‘travelling spare’ his job was to carry the oars and watch from the riverbank. As humbling and painful as this experience was for Steve it was also his breakthrough as it proved to be a journey of self-discovery that he has never forgotten and a critical part of his learning how to win. In Spring 2011, Steve Williams took on the challenge to ski to the Geographic North Pole and climb Mount Everest back-to-back. Steve trekked 111 kilometers over frozen arctic ocean – a constantly moving obstacle course of fractured and contorted ice. As soon as Steve arrived at the North Pole he immediately moved from sea level to base camp to face the physical, technical and mental challenges of climbing the World’s highest mountain. Williams completed the two incredible back-to-back feat of endurance in just over a month, reaching the summit of Everest on 25th May. Steve Williams is an inspirational and effective corporate speaker. He vividly brings to life his journey to two Olympic Gold medals whilst giving compelling insights into high performance culture that can be easily applied to business. His North Pole and Everest challenge adds an enthralling new dimension to Steve’s speeches and he will become uniquely placed drawing on experiences from the Olympics, the Arctic and Everest.